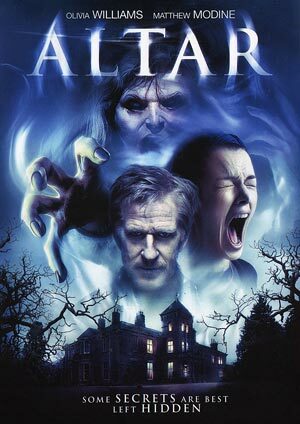 Altar isn’t a great supernatural thriller but effective one with solid performances by Matthew Modine and Olivia Williams and would make for good viewing on a Saturday night. The DVD released by Cinedigm is basic with fine video and audio transfers but only a trailer as a bonus feature. Altar follows one family as the move into a timeworn, dilapidated country mansion in order to restore it to its former splendor. But, in the process, they awaken the ghosts of the house’s original inhabitants whose curse still looms darkly over the haunted estate. What follows is a hair-raising ordeal of spectral apparitions and demonic possession that threatens to destroy the lives of Altar’s desperate protagonists in the early realm and beyond. The only feature included is the trailer (2:14). Altar is arrives with an anamorphic widescreen aspect ratio and looks good providing for deep black levels and minimal aliasing or artifacts, though there is some present. The included Dolby Digital 5.1 track is effective with clear dialogue from the center channel and some deep bass. 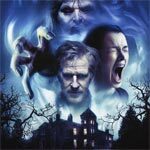 Overall, Altar isn’t a great supernatural thriller but effective one with solid performances by Matthew Modine and Olivia Williams and would make for good viewing on a Saturday night. The DVD released by Cinedigm is basic with fine video and audio transfers but only a trailer as a bonus feature.